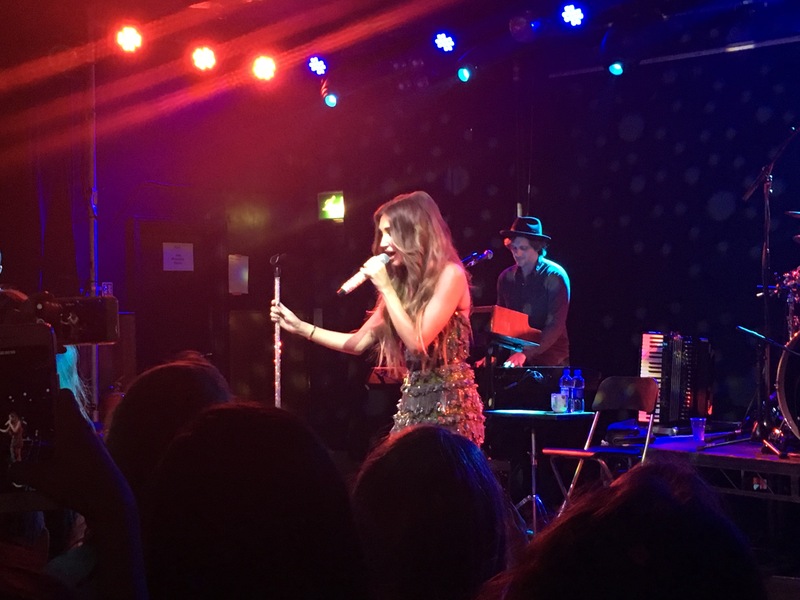 Although not your traditional country singer, Megan McKenna delivered her own impressive modern-Essex-girl twist on the genre during Wednesday nights London performance. From the first song, the Dixie Chicks and Beyonce version of Daddy Lessons, it was obvious that Megan knew how to put on a show and knew how to sing. The cross genre pop hit received plenty of screams from the crowd who were clearly having the time of their lives. 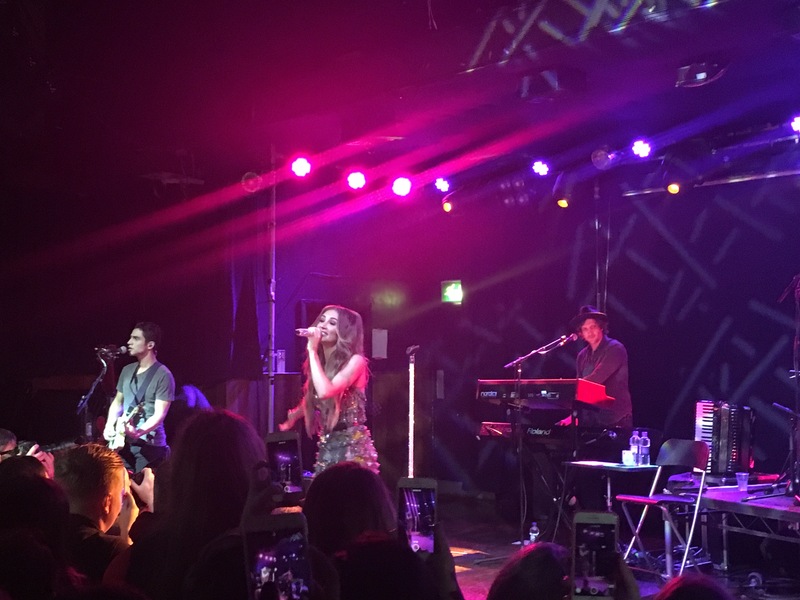 Even Megan McKenna seemed surprised at the sheer amount of fans in Scala for her. After sweetly thanking her “amazing” five-piece band, support act The Adelaides, management, family and friends she declared “I hope you’re saving me a jager bomb for after, because I need one!” before jumping into her biggest hit to date. High Heeled Shoes proved to be the ultimate sing-along song of the night. Every person in the room seemed to know all the words, and it wasn’t hard to see why this track went to number one on iTunes. As the crowds screams continued Megan said “you’re too nice! I need you on TOWIE to back me up”, which of course, was met with even more delight from her fans. Mixing up the set with a vast selection of covers showed off Megan’s vocal range and allowed her to honour some of the biggest influences in her life. These included her own version of Girls Just Wanna Have Fun – the song she performed on Britains Got Talent – as well as Eva Cassidy’s Fields of Gold which was dedicated to her granddad. There was also a cover of country classic Jolene and although her hair may not be quite as high as the queen yet, Megan’s well on her way. A hint of this endearing performers Essex background snuck in via her pink swarovski mic stand. From here she started “exclusive new song” History. With delivery worthy of a comic, Megan admitted this was exclusive “apart from the past three nights” and was a hit with the crowd. After a costume change from an eye-catching sparkly dress paired with a fabulous pair of cowboy boots to a black fringe two-piece, Megan performed a Miley Cyrus medley. Of course, including the Hoedown Throwdown. A cover of God Bless The Broken Road gave Nashville guitarist Greg Oliveras a chance to show off his amazing skills and indulge in a solo with an almighty cheer from the audience. Far Cry From Love was the most memorable song of the night. Written in Nashville, its lyrics are beautiful and simple. Megan McKenna is very clearly a storyteller and country music fits her sound just fine.